HOUSTON – (By Michelle Leigh Smith) – What’s compelling enough for the Royal family should be good enough for the discerning American. 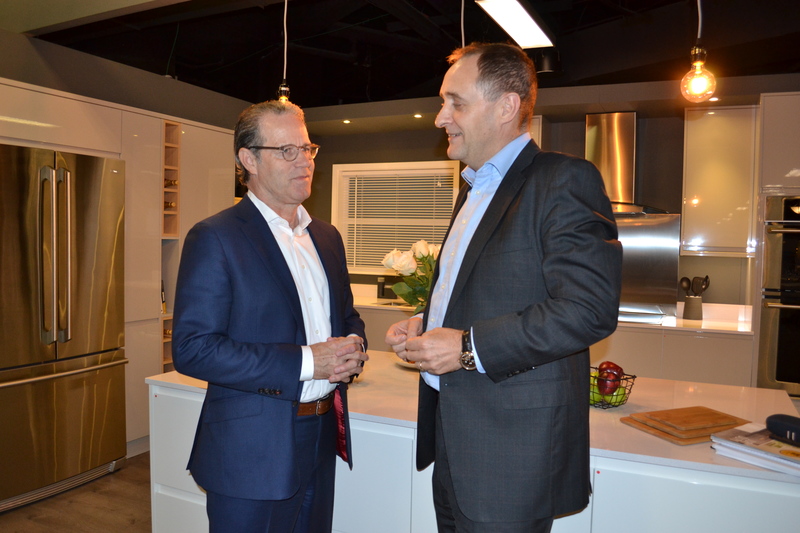 “The kitchen of the future will be a Howdens kitchen,” proclaims Rob Fenwick, Chief Operating Officer for UK-based Howdens – one of the largest cabinet makers in the Western hemisphere. With Houston apartment developers, architects and home builders in attendance, Howdens Joinery hosted a “Collaborative Roundtable” last week at the Hyatt Regency hotel in downtown Houston to reimagine the kitchen. This event was a precursor to The Kitchen Transformation Tour 2017. What is the future of kitchens? 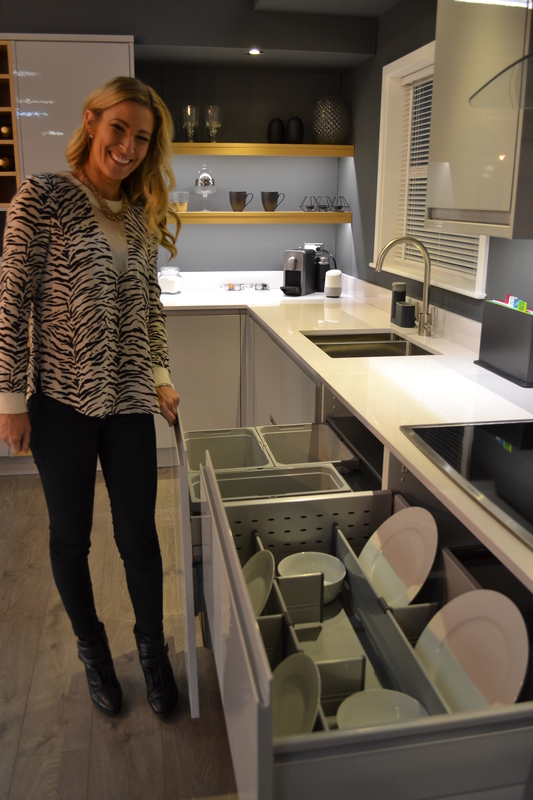 Look for drawers within drawers, tall cabinets that replace short cabinets and a more open feeling in the kitchen of tomorrow. The right color palette, often in gray, or a mix of navy blue with soft gray will be key. Mixed finishes will hide appliances from view. The flooring looks like the richest of hewn woods and the appliances are not only relevant, they are state of the art. In the corner of the Hyatt exhibition, landscaped pull-out drawers with individual built-in grooves safeguard the plates, saucers and the finest Royal Doulton teacups. Last year, Howden’s delivered and installed more than 425,000 kitchens in the United Kingdom, working with developers and builders. Fenwick joined the group in 2001 and since 2005, he has been responsible from converting the vertically integrated to a commercial operation. Howdens supplies over 400,000 account holders, all building trade professionals, with 4 million kitchen cabinets, 2.4 million doors and 1 million worktops and breakfast bars each year. Just prior to the Houston stop, Fenwick was in San Francisco meeting with Google to lay the groundwork for smarter kitchen features, like the ability to turn on your coffeemaker via a smart phone. How did the Kitchen Transformation Tour 2017 develop its vision for the future? Partly, with surveys and world tours. “We visit all the top exhibitions in Milan and we have specialists in Japan, Austria, Sweden,” he says. “Their strategy is well positioned not only in single family homes, but also in the multi-family sphere, where a full kitchen is the No. 1 request among all amenities in 65 percent of responders to a survey of 25,000 renters,” according to Rob Britt of Hanley Wood, who was in Houston for the event. Howdens is listed on the London Stock Exchange. Howden Joinery Group PLC is the parent company of Howdens Joinery, the UK’s leading supplier of kitchens and joinery to trade customers.